Thinking to move can be daunting and stressful. You have seemingly a million things to take care of in addition to packing, finding a new place, and attempting to coordinate your schedule. Let us take some of the stress away. 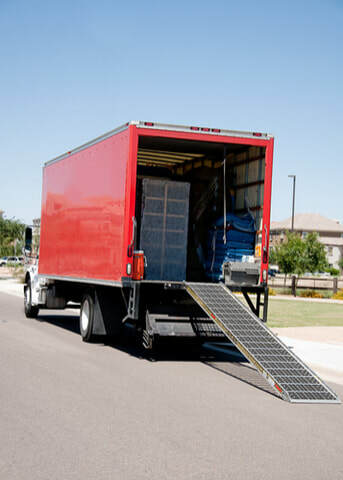 As one of the leading professional companies in the Miami and Doral area, we offer reliable packing and many services to make your next experience as easy and stress-free as possible. We offer local and long distance solutions no matter where your life is taking you next. We are a small company serving South Florida. Today, we are one of the fastest-growing small companies in the community, offering residential and commercial affordable pricing. We are insured, licensed and registered with the State of Florida, we also count with all documents for intrastate transfers. Whether you're planning on living in Doral, Florida or going to a new out of state area, you can count on with our quality, reliability, and friendly, professional team. We offer free consultation by phone to help you estimate your cost. for a Free in-person estimate. Request a Free In-Person Estimate: Planning and relocating a house can feel overwhelming but it doesn't need to be with our discount rates. We are your local leaders in affordable packing with great methods and solutions designed to fit your needs and circumstances. Whether you want to have your packed belongings loaded and or you want us to take care of everything from beginning to end, we offer competitive rates and unbeatable customer relation. We look forward to showing you the difference great crew can make during an otherwise stressful experience. We offer customized strategies with free in-person estimates and free consultations by phone on local and long traveling. Getting ready to transport to or from Florida? Call us today at 305-514-0015 for your free estimate. Local Movers: Even a local change can be challenging. Whether you're coming to Miami, Florida or from a nearby city or simply you're just across town, you want your experience to happen on schedule with as little stress as possible. Our staff is here to help you pull off stress and stay within your budget. As one of the leading local companies in Miami-Dade County, our company also covers Broward and Palm Beach county areas. Long Distance: Is there anything more complicated and overwhelming than moving across country or out of state? A long transfer may require a lot of forethought and planning but our team specializes in long driving and have what it takes to pull off the stress-free so you can focus on going to into the place you're dreaming of. We customize every planning based on your schedule, needs, and circumstances to put you in charge with our expertise at your fingertips. With our fleet of trucks, trailers, vans and team of experienced, insured workers, you can count on for the level of each of your needs. We can handle any type from large and small, even complicated, with your choice of job level, from basic to packing and unloading. Boxing and Packaging: One of the most stressful parts of any move is packing up your entire home and doing it safely to avoid damage during the transportation. Our team offers full-range packing and unpacking to both local and long distance customers. Our careful, professional fellowships are trained to pack all types of belongings, even the most fragile and valuable like instruments, fine china, and glass. With our full packing system, our team will arrive to pack every room in your home. We also offer partial packing if you're fine with packing some of your belongings on your own but want help such as packing fragile items or certain rooms. Once you arrive in your new home, we can help with unpacking your different items to get you settled as quickly as possible. Planning to move to Miami, FL or surrounding communities in Miami-Dade County? Reduce your stress with these easy tips and moving guide for making your Florida transition as smooth as possible. Lighten your load as much as possible. Ahead of your date, let go of items you don't really need or want to reduce your costs. You should consider whether you will really need bulky clothing after knowing that in the sunshine state mostly you will see warm weather, also consider whether large items like mattresses are worth the cost. Change your address. Fill out a form with the USPS to have your mail forwarded to your new address. Schedule a cut-off date for your utilities or notify your utility company of your new address. Get copies of your medical records to give to your new physician. Give your wardrobe extra thought. If you're transferring to Florida from a colder environment, you may want to donate most of your long-sleeved shirts, heavy pants, and winter clothes. Start packing as early as possible. Begin with items you don't use very often. You may find it helpful to target a different area or room every day ahead. Keep track of what you pack. You may think a box marked "bedroom" is self-explanatory but you may end up with several boxes with nothing more than a room as a label. By the time you actually go into your new home, you may have no idea where anything is. Create an inventory as you pack and number your boxes to make unpacking a breeze. Research professional companies. It pays to do your homework ahead of making your decision. Unfortunately, not all companies are equal. Some may require a large deposit, have hidden fees, or fail to protect your belongings during the transportation. There are even several scams to watch for as you choose the right entity. Get references before you make your decision, read reviews, and always make sure the provider you choosing are licensed and insured for your protection. Moving Should be easy, leave it in our trusted hands. We are here to help you!